Upon an old VHS tape box, there read A Lesson In Computer Animation. Easily no more than a half-hour long, it was comprised of short demos showing off things like walk cycles using 3-D penguins, shadows on pineapples, the video corresponding to Dire Straits’ “Money For Nothing”, and an early Pixar creation involving a bee and some crazy looking dork with funny eyes. We know our extent of computer tech has extended well beyond this scattered educational tape from the ’80s. Though CGI was still a new thing, we all remember Tron. The 1982 film Tron was a technical marvel in its heyday — a concept piece, one utilizing then-innovative strides in computer animation that had been shopped around but never taken seriously up until Disney’s involvement. This is the beginning of a story that everyone knows pretty well, assuming you haven’t lived under a rock the past 40 years. On a more presently relevant note, Tron is a tech-geek and animator’s whetstone movie that later electronic duo Daft Punk has incorporated within multiple facets of the act’s very elusive persona. In fact, in case you haven’t heard, Daft Punk is currently credited for the score to Tron‘s long-overdue sequel, Tron: Legacy. Daft Punk is relatively easy to pinpoint in terms of direction here, so what tale does the original 1982 score tell about its own creation? Answer: Conflict, radical mediums, state-of-the-art inventions, and a name whose correct pronunciation tends to taunt electronic music noobs. 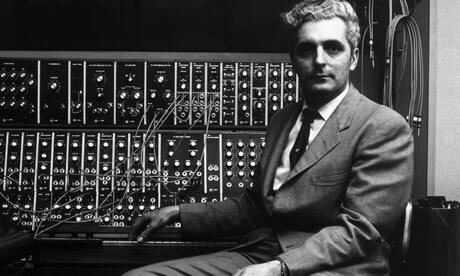 The late Dr. Robert Moog was a pioneer in many respects, a man behind elements of electronic music that changed the entire playing field drastically. Before Dr. Moog’s hand entered the fledgling game of electronic tools in music, the idea of modular decks and keyboard interfaces were not heavily researched let alone commonplace as is the case today. The early ’60s presented an entirely new array of means in producing music, including the figurehead of Moog’s burgeoning empire, the Moog synthesizer. Moog’s synthesizer design introduced experimental music that surpassed ideas set forth by devices like the Mellotron, allowing for more advanced manipulation of electronic sound; unfortunately, during its birth, the Moog synth was thought of as a bit of a novelty. Over time, the Moog synthesizer and its future began moving past strictly ideological curiosity and into the mainstream. Bands such as The Beatles, Emerson Lake & Palmer, Pink Floyd, and even country singer Buck Owens bought into the wave. This is where Wendy (then Walter) Carlos comes in. Walter Carlos was a close friend and partner of Dr. Moog during the development process of his original synthesizer, offering input that would help the tool to thrive. As the first to directly purchase one of the commercially available synthesizers, Walter Carlos began his journey into electronic music arenas, including his landmark album, the classical-meets-synth production, Switched-On Bach. 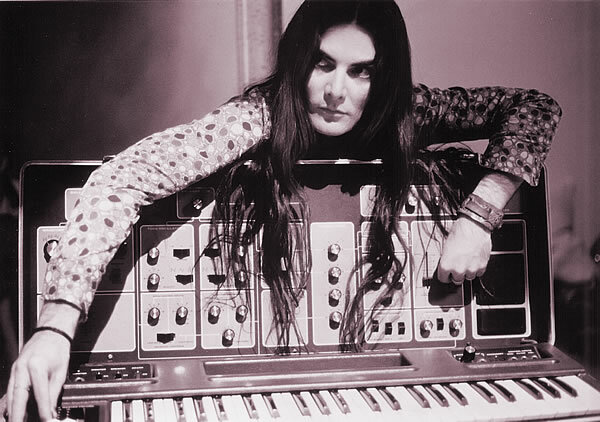 Now known as Wendy Carlos, the artist behind Moog’s revolutionary equipment was commissioned to craft the score to Disney’s upcoming theatrical release, Tron. 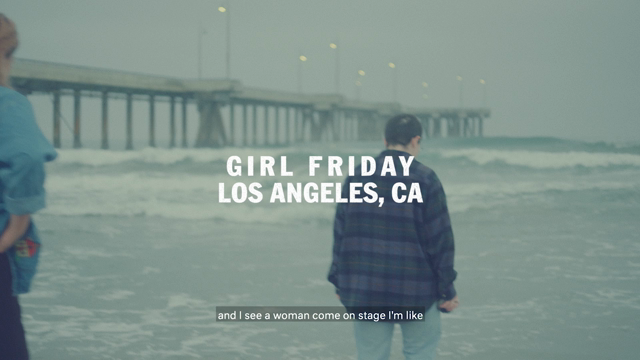 As a movie set almost entirely in a world within a computer network, the effects and scenery had to correlate with the music and vice versa. As anyone will tell you, Disney’s films during this era focused primarily on classical compositions performed by an orchestra; to this end, it is no surprise that Disney had little confidence in the idea of electronic music scoring an entire movie, a movie that was very avant-garde for its time. Put yourself in their shoes: The ’70s had burst with disco, electronic music was something of a pop culture thing, and you would not want to sacrifice the reputation of your film studio’s live instrumentation to what could just be a fad. Disney’s pushing the London Philharmonic into associating with the Tron score left Wendy Carlos with less creative control, and keep in mind, this was not Carlos’ first movie project (A Clockwork Orange ring a bell? ), and she was a well-respected individual in the world of music and invention at large. Sounding a bit like the stereotypical “Artistic License vs. Label Influence” scenarios we know and loathe today? Welcome to the big picture. The plot of Tron is a series of juxtaposed notions: a family-friendly exploration of what people perceived as the inner workings of computers but also a tale of corporate takeovers and conspiracy theories; modern technology of the late ’70s and early ’80s and gaming arcades joining forces but also the destructive and tyrannical nature of the Master Control entity. With a platform like this — not to mention the stunning visuals produced (see: Light Cycles) — is it any wonder that a joint effort of orchestrated instruments and electronic-based sound that was not originally intended somehow winds up being the sonic weave within Tron?